I love to cook. I enjoy going to the market, and cooking all kinds of meat, seafood, and rice for lunch and dinner parties with my dearester friends at home. 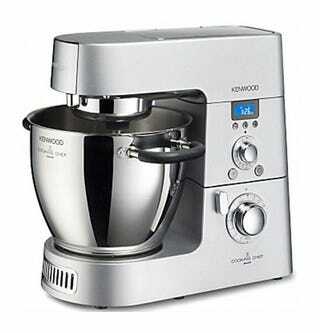 That's why I'd never get the Kenwood Cooking Chef. My point is: What's the fun of using a machine like the Kenwood Cooking Chef—which can cook at temperatures between 68ºF and 284ºF while stirring at three different speeds—to cook a risotto? Where is the fun in that when the alternative is doing it yourself alongside your loved one, improvising, sharing a nice wine, music, and conversation, waiting for your friends to arrive?